Can you describe your library? 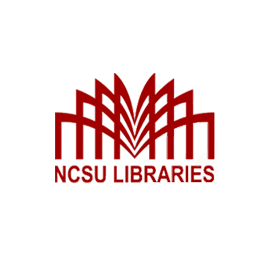 We are the library of NC State University, the largest university in North Carolina. I manage a Makerspace in the new James B. Hunt, Jr. Library at NCSU. What problem were you having that made you try Knack? The problem Knack helped us to solve is managing jobs for our 3D printing service. Previously, we were doing this with paper forms and a queue written up on a set of clipboards. Tracking the status of jobs in the system was painful because everything was handwritten and it was easy to miss steps in the process. Also, whenever complications occurred it was hard to express them in a concise amount of space. Also, we had to manually write emails to customers when their print jobs finished. How are you using Knack to solve that problem? My student workers and I now have all of our print jobs and Knack, and can easily see what jobs are at which stage in the process for each 3D printer. Knack automatically sends our customers an email notification when their job is marked finished. When issues arise, they are easily expressed in the notes field for that job. We have saved a lot of time and are much more efficient now. We're tracking jobs more effectively, which minimizes errors and gives our customers a better user experience. Which Knack features do you find the most valuable? Many Knack features have been useful to us. The different user types are great, allowing different staff to have their own dashboards for their own specific workflows. Form rules are awesome--that's how we built email notifications for our customers, and I've also used them to simplify the workflow of some staff. File uploads are also great, helping us to keep track of customers' files much more effectively than in folders on our staff laptop. Reports are cool, too--I'm looking forward to building a more sophisticated data dashboard as our usage in the system ramps up. Knack is awesome, and has been a great match for my skill set. I'm familiar with databases and their structure, but am not a coder, and Knack has provided a very intuitive way to build a database and an interface for it. I also really like that I could build from the ground up, instead of having to force my data and business processes into a predetermined format like the CRM software I looked at.